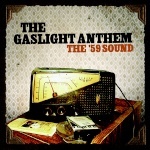 The Gaslight Anthem Fan Forum • View topic - 11 Best Songs? Check out this list by the Good, the Bad, and the Unknown. Obviously more songs have been released since the list was made but what do you think? Considering that was June, 2010, I think the list is pretty good. But if I had a make a list today including American Slang and Handwritten, the list would look much different. 8. Wherefore Art Thou, Elvis? My favorite part is the beginning "does anything still move you since your educated now, all grown up, and traveled so well?.... "made your plans for great escapes". Good stuff.